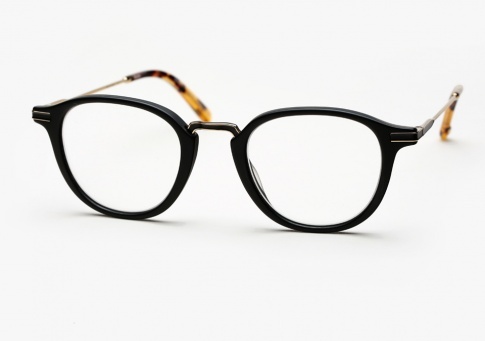 Garrett Leight Hampton Combo - Matte Black (Eye) Need Help? Garrett Leight's Hampton Combo is a metal and acetate version of their timeless Hampton style. It features metal details on the bridge and temples with enamel inlays to create a reinvented classic. It is offered here in Matte Black, gold metal, with Dark Tortoise temple tips.